We have a lot of retired guys that drive truck, and it can be difficult for them to get in and out of the cab to check the load. The Load Judge keeps my employees in the comfort of the truck and out of the dust. We also like the moisture sensors, which help my drivers determine which bin to dump in according to moisture levels. It’s easy enough for everyone to use without issue. Stop getting out of the cab. Get the Load Judge now. Want to explore the Load Judge app before purchasing a sensor kit? Download it for free! Our app is now available on Google PLay™. Shawn Gengerke doesn’t want to build a better mousetrap. Instead, the fourth-generation South Dakota farmer’s focus is on building first-of-a-kind products that can solve decades-old problems. The challenges of monitoring grain in dusty, dirty, and dark conditions are a reality Shawn Gengerke has had to deal with for far too long. 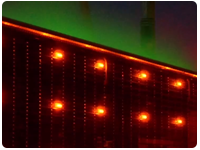 A new technology is hitting the market that will allow for precise grain loading that can be monitored from the comfort of a semi cab. In the past four-and-a-half years, he has launched two patent-pending technologies with his Load Judge and the Operation Harvest Sweep, both designed to enhance on-farm efficiency. 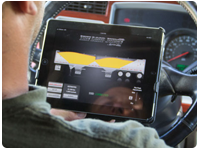 Leading Edge Industries recently received an AE50 award and a Finovation award for The Load Judge, a breakthrough technology designed to help farmers and grain haulers save time and money when loading grain. The readers of Farm Industry News selected The Load Judge as one of the top product introductions of 2014. Farm Catalog magazine acknowledges The Load Judge for its AE50 award. 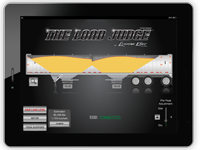 Load Judge technology offers efficiency and accuracy. Shawn Gengerke was plagued by the triune scourges of grain loading-dust, dirt and darkness. The Society of Agricultural and Biological Engineers selects The Load Judge as one of the 50 most innovative products of the year. Ag industry editors select The Load Judge as one of their favorite new products from the 2014 Farm Progress Show. 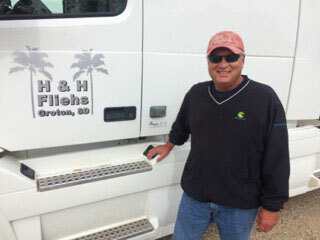 Loading grain trucks has never been easier for Shawn Gengerke, of Groton, S.D. 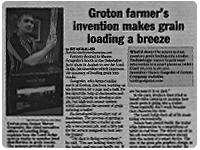 Farmers flocked to Shawn Gengerke\'s booth at the Dakotafest farm show in August to see the Load Judge, his invention which improves the accuracy of loading grain into trucks. Shawn Gengerke got sick of dust in his face while guessing the amount of grain in his hopper trailer. 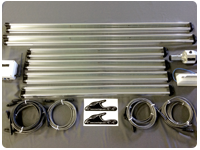 Gengerke, CEO of Leading Edge Industries, came up with an idea. 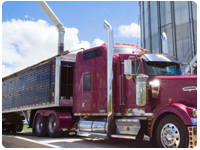 Leading Edge Industries has developed a new innovative technology that will ensure that grain haulers and farmers can achieve optimal loads that maximize the value of every trailer load. Shawn Gengerke got sick of all the dust blowing in his face while trying to guess how much grain was being poured into his hopper trailer. 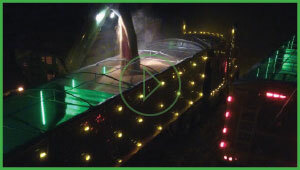 Start loading your grain consistently right from the comfort of your cab. Using patented (U.S. Patent Nos. 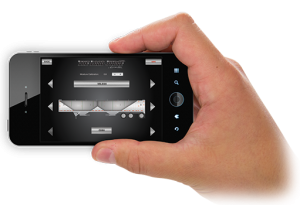 9,085,381 and 9,169,032) high-tech sensors and a user-friendly app on your smartphone or tablet, the Load Judge allows you to load your grain consistently with repeatable results that enhance your bottom line. 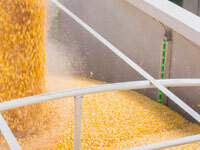 Reduce corn shatter loss at harvest with this patented (U.S. Patent No. 9,961,830) system that replaces the existing deck plates and gathering chains on your corn header. It increases your revenue, while reducing the amount of volunteer corn the following year. Simply install the components – 6 sensors, moisture sensor, Wi-Fi box – and connect with a quick attach plug. 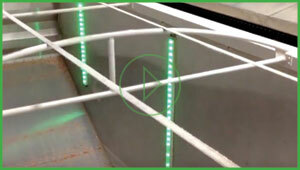 The sensors operate using the existing trailer clearance lighting system; no electrical work required. 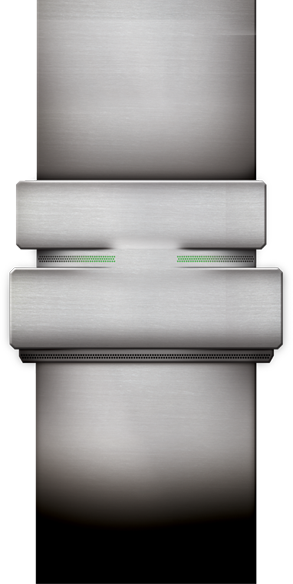 Patented trailer sensors self-calibrate every second to continuously deliver real-time data to your smartphone or tablet. 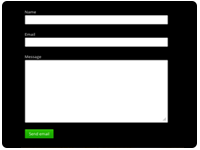 Save Load Level feature can set repeatable load lines for every condition, on every load. 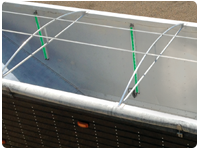 Monitor proper grain distribution on the trailer axles as loading occurs, avoiding later adjustments. 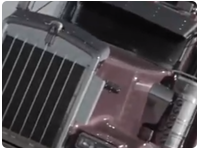 No traffic tickets from overloads or lost efficiency from light loads. 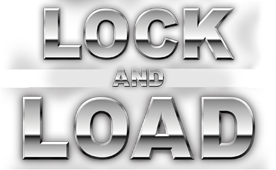 Achieve optimal loads and maximum profits. Turn a two-person task into a one-person job. One person handles entire loading process from cab by monitoring smartphone or tablet, then moving trailer as needed. No standing in cold or breathing in dust.